Product design, branding, strategy consulting – glass design as an integral element of modern brand management; enjoyment as key instrument in the communication of emotions: branded Exclusive Glasses created by RASTAL. curved relief-waves which also provide a comfortable haptic experience. The individual vertical decoration has been printed on the glass with a special transparent white color which creates an ideal synergy between quality and elegance. … with creative solutions that have been playing a key role in the world of modern glass design for many decades. Drawing on a wealth of expertise, experience and innovative technology, RASTAL creates solutions that showcase a brand’s unique character with pizzazz and contemporary charm. In 1964 RASTAL initiated the brand signatureglass and implemented it for the first time: it is based on the idea of an individual glass design dedicated exclusively to a single brand. 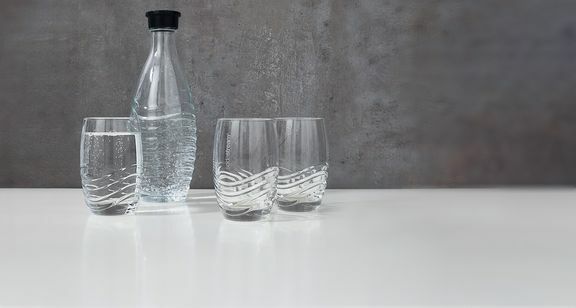 To this day, no other company has developed and created so many brand signature glass designs – Rastal has more than 100 concepts to its name in the last 10 years alone. Many of these are unmistakable classics that are still an integral part of the international brand scene. RASTAL plays a key role in shaping the world of modern glass design. Honoured with more than 180 design prizes and awards conferred since 1974, RASTAL enjoys worldwide recognition as a supplier of success-boosting brand solutions. With its elegant design, the innovative catering bottle with the high-grade aluminium screw cap and aluminised label sets standards with regard to taste and style. Especially striking: the bevelled facet. The logo and lettering are combined harmoniously and innovatively and are always kept in the line of sight by the focussing effect of the logo and brand lettering. Another highlight of this bottle: the conscious decision not to include the EAN coding. Craft Master Two – a modern glass for genuine craft beer enjoyment. 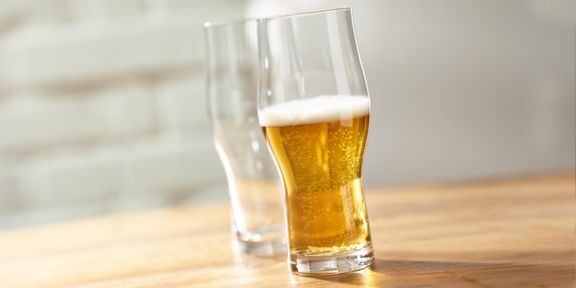 Ist sensorially well-conceived shape, as well as its versatility for varied beer styles brings functional appeal and thus added value to catering and hospitality venues. In an exclusive co-operation the companies RASTAL and DÖHLER, one of the world’s leading producers of natural ingredients for foods and beverages, have developed a sensory test design that is the only one of its kind in the world: MULTI-SENSORY REVOLUTION. The aim of this scientific approach is to determine the perfect shape of a drinking glass that allows the individual character of your particular drink in its preferred form to be experienced by every one of the senses.